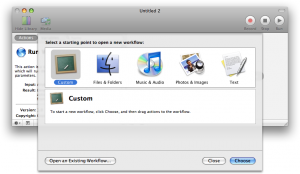 In my first Automator tutorial I showed how to build and run a simple Automator workflow. How to schedule Automator workflows in iCal, so that they run automatically on a regular basis. Ready to automate? Let’s get started! Tip: You can click any of the screenshots below to enlarge them. 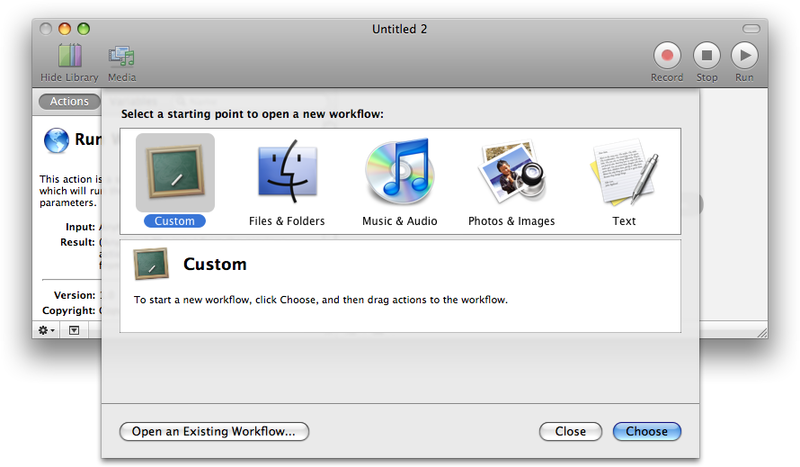 One really nice thing about Mac OS X is the ease with which you can automate tasks. This comes down to AppleScript – an easy-to-learn scripting language for getting apps to do things – and Automator, a drag-and-drop tool for creating a series of automated actions, known as a workflow. In this beginner Automator tutorial I’ll walk you through the process of creating a simple Automator workflow, from start to finish. The workflow, called “Zip and Send”, will zip up selected file(s) and automatically email the resulting zip archive to an address you specify. Are you new to the Mac, or thinking of diving into the world of Macs? The following is a list of technical Mac terms that you may find handy. I came across most of these terms myself when I first bought a Mac, so I thought it’d be useful to gather them together into this glossary. When I first got my shiny new iMac everything was neatly organized: I had a nice clean Desktop and Home folder, my Dock was minimal, and my hard disk wasn’t full of crud. A mere week later the Mac was chaos – files everywhere, cluttered Desktop and Dock, and I couldn’t find anything! I quickly learned that, in order to be productive on my Mac, I was going to have to get organized. Here are some simple techniques that I’ve found helpful for keeping my Mac data ship-shape. Keep your Desktop and Home folders clean. Avoid putting any files or folders on your Desktop – not only is it visual clutter, but it results in a disorganized mess! Similarly, don’t dump files directly in your Home folder. Instead, create subfolders in your Documents folder (or wherever is convenient) and put files in there. Tell Firefox to use your Downloads folder. While Safari plays by the Downloads folder rule, Firefox dumps downloaded files on your Desktop by default. Not good. Go to Firefox > Preferences > Main > Save Files To, click Choose, then pick the Downloads folder in your Home folder. Organize your Finder sidebar. The left-hand sidebar in each Finder window gives you instant access to files and folders with a single click. Make the most of it by adding the files and folders you use most often. To do this, just drag a file or folder from the main Finder window to the sidebar. While you’re there, remove unwanted files and folders by dragging them away from the sidebar. Use Smart Folders. These work much like Smart Mailboxes in Mail. Smart Folders don’t actually contain any files, but they let you group files and folders together based on specified rules. This is handy if you want to access all documents on a given project in one place, for example. Find out how to create Smart Folders in Leopard. If you’re as disorganised as me then you might often end up with more than one card for the same person (often with different phone numbers and email addresses in each card). If you have hundreds of contacts then finding and merging these duplicates manually can be a pain. An easier way is to choose Card > Look for Duplicates. This automatically rummages through your contacts, identifying cards with the same name. You can choose to merge any identical cards, and also whether to merge cards with the same name but different contact details (the contact details from one card are added to the second and the first card is deleted). Apple Macs are pretty reliable (as computers go) but they inevitably throw their toys out of the cot occasionally (usually when you’re trying to meet a deadline). While there are a million different things that can go wrong with a Mac – many of which require a lot of time and patience to fix – there are a few general steps you can take to try and identify or solve the problem. Read on for 10 simple Mac troubleshooting tricks that you can try when your computer acts up. These are in approximate order of priority, so try the first suggestion first, and if it doesn’t work, try the next. The classic tech support answer. If your Mac is behaving strangely then the first thing to do is shut it down, wait a few seconds, and turn it back on again. This resolves a lot of software (and temporary hardware) glitches. Sometimes problems are caused by bugs in old versions of software. If you’re seeing a problem in a particular app, check to see if a newer version is available. Usually there’s a Check for Updates menu option under the menu with the same name as the app (e.g. iTunes) or under the Help menu. The other day, a friend of mine had an embarrassing experience that must happen to every parent at least once: His 8-year-old managed to use his Mac to Google an, ahem, “inappropriate” website. He asked me for advice. I suggested he made sure Google SafeSearch was enabled, and pointed out software such as NetNanny. 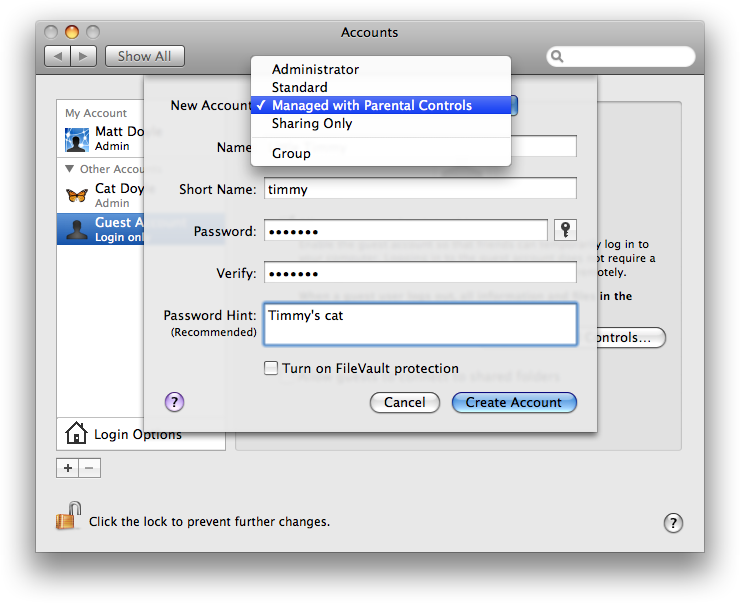 Then I rummaged around in System Preferences and found that Leopard has some pretty comprehensive parental filters built in, in the form of Parental Controls. They look pretty handy for keeping your kid safe on the Internet, and also for preventing accidental damage to your applications and OS installation (kids being the curious creatures that they are). 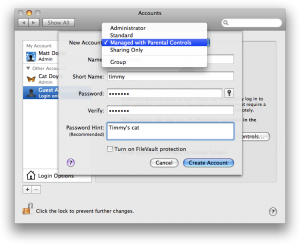 Here’s how to use Parental Controls on your Mac. The first thing to do is create a separate account for your child (if you haven’t already). As an administrative user, choose Apple menu > System Preferences, then click Accounts. Click the lock symbol at the bottom left of the dialog (if locked) and enter your password. Click the Create Account button to create your child’s account. Leopard’s Address Book is easy to use and, at first glance, appears pretty basic. However, scratch the surface and it has all sorts of neat features to improve your productivity. Here are just 5 ways to be more productive with Address Book. You probably know that you can organize your contacts into groups by clicking the + button at the bottom of the Group list to create a new group, then dragging contacts into that group. The Smart Group automatically updates its list of contacts whenever you add, remove, or edit contacts in Address Book. Select the Highlight the group when updated checkbox, and whenever a contact is automatically added to or removed from the group, Address Book highlights both group and contact in purple. 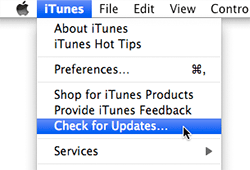 If you remember, iTunes 7 and earlier gave you a Preferences option to turn them off. And rightly so – they clutter up the UI in my opinion. Before you turn the arrows off, though, you may be surprised to learn that they do, in fact, do more than just take you to the iTunes Store. This post on macosxhints.com contains a couple of comments which taught me something new: You can actually Option-click an iTunes Store arrow to find stuff in your library. Option-click a track name column or album column arrow to get a list of all tracks in an album; Option-click an artist column arrow to view all tracks by an artist. Now clicking the arrows takes you to the album or artist in your library, while Option-clicking jumps to the Store. And there you go! The hidden delights of those little arrows. You are currently browsing the archives for the Mac tips & tricks category.